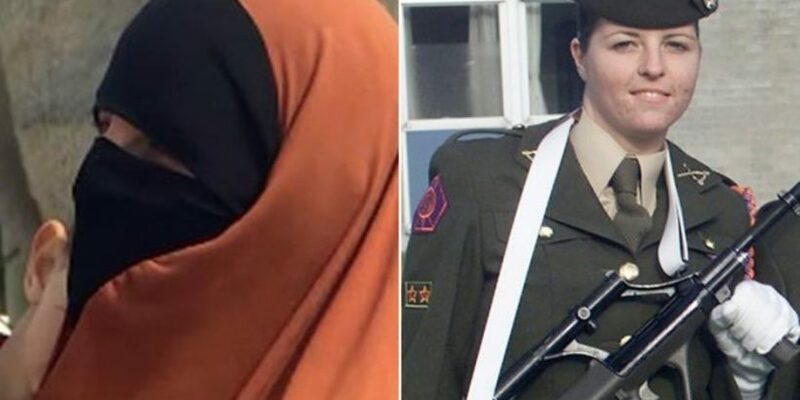 Former soldier Lisa Smith, 37, is desperate to escape the al-Hol camp – where English jihadi Shamima Begum was held until the death of her newborn son. Asked how she felt about a possible prison sentence, Smith replied: “I know they’d strip me of my passport and I wouldn’t travel and I’d be watched kind of, but prisons I don’t know? She earlier told ITV News: “You come, you see the propaganda, you want Islam, you want to come and live in a Muslim country and environment. Dramatic drone footage yesterday revealed ISIS’ final outpost on its last slither of land in Syria. Jihadi women took up arms and fought as the Syrian Democratic Force (SDF) and the Coalition moved in to fight in the apocalyptic wasteland which they were inhabiting. Burned out cars, tents and battered buildings can be seen from the air in the drone footage – demonstrating how difficult the last battle against the hiding jihadis was. Daily Star Online earlier reveals part of a jihadi network that targeted ISIS brides such as Begum could be on its way back to the UK. There was an evil taskforce of western members – from the US and Europe – charged with recruiting terrorists when ISIS was in its prime in Raqqa, Syria.